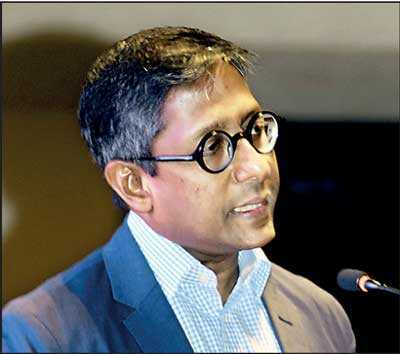 The Sri Lanka Chamber of Medical Devices Industry (SLCMDI) held its fourth Annual General Meeting, at the Atrium Lobby, Cinnamon Grand in Colombo recently. The monumental event was held under the patronage of State Minister of Health Faizal Cassim who graced the occasion as the Chief Guest. 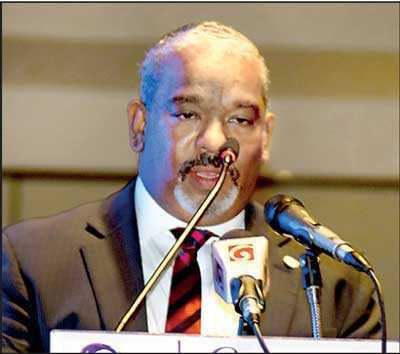 National Medicines Regulatory Authority (NMRA) Chairman Prof. Asitha De Silva also attended as the Guest of Honour. A large number of dignitaries and luminaries of the industry were present at the event, ushering new hopes for the perseverance of this perennial industry. Established in 2015, the SLCMDI was formed with the intention of representing the fast-growing innovative industry of medical devices and equipment and addressing its own issues. It seeks to promote medical devices of the highest quality, cooperate with all stakeholders connected with the healthcare industry, enhance and foster relationships among members, set ethical guidelines for the promotion and sales of medical devices, encourage local production of devices, and act as a mediator between the industry and Government healthcare officials in the implementation of regulations in respect of medical devices and cosmetics. The highlight of this fourth AGM was the reappointment of the existing board for the coming year due to their stellar performance and contribution to the chamber during the previous year. 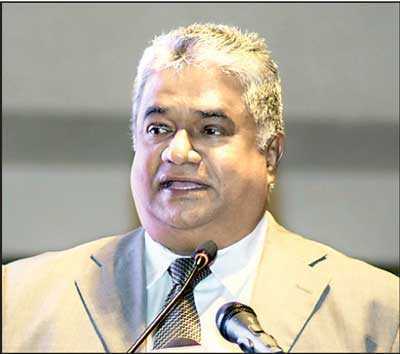 The board comprises of: President – Erandajith Ranasinghe, Immediate Past President – Saman Hulangamuwa, Vice President – Tilak Fernando, Vice President – Niranjan Selvadurai, Secretary – S. Prabhu, Asst. Secretary – Sanjeeva Samarasinghe and Treasurer – Pradeep Amarawardena. As the SLCMDI represents the growing number of medical device importers in the country, their membership is constantly on the rise as they progress in their quest to create lasting solutions to the medical devices industry in a regulated, equal opportunity and ethical environment. Last year, the chamber has set up a new subcommittee that seeks to address issues pertaining to the Customs and Finance Ministry. The committee requested for a VAT exemption on registered medical devices and this motion was welcomed by the authorities. It was also discussed that the continuous depreciation of the Sri Lankan rupee affected the chamber membership largely over the past year. Once again, the chamber requested for a solution from the authorities to cushion the parity losses incurred, especially for the medical devices which are under price control. The SLCMDI was elated to note that the request has been addressed positively by both the NMRA pricing committee and the Ministry. Thus they are hopeful that relief would be provided to importers soon. In terms of regulatory aspects, the past year has been prosperous for the chamber. Coupled with the long standing partnership of the Ministry of Health, bounds of progress has been visible with their other stakeholders being a strong indication of progress. 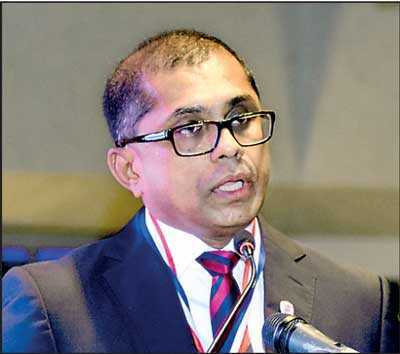 The Guest of Honour, NMRA Chairman Prof. Asitha De Silva voiced his thoughts on this: “The NMRA greatly appreciates the support of the SLCMDI especially in the challenging aspects of regulating medical devices, and some countries do not even attempt to do this. Having said that I wish that the positive interaction that we have established will continue in the years to come”. With this in mind, the chamber has set forth a series of goals for the upcoming year which include, the effective implementation of Device Classification Guidelines and Regulations, implementation of dedicated SPC tender guidelines, and the implementation of Tax Exemption for registered medical devices. As the chamber heads into 2019, a strong sense of optimism will be carried forward, regardless of the fact that 2019 is expected to be a challenging year to all industries alike. Believing that the future holds a bright potential, the SLCMDI will continue to strive to uphold the upward trend.